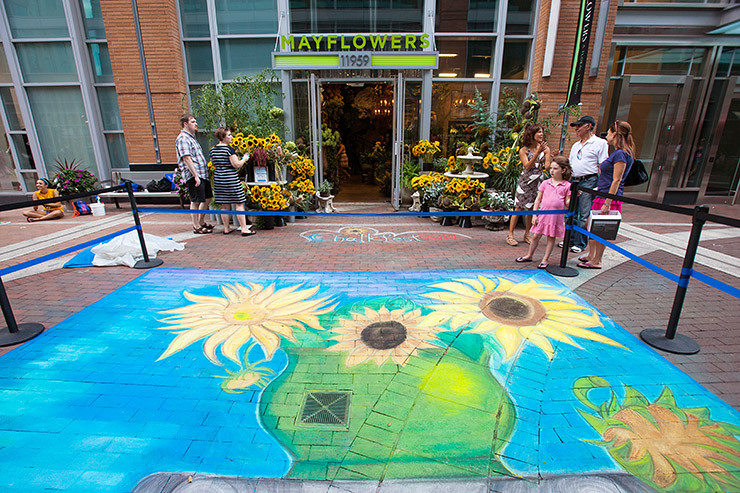 On Saturday, Market Street was gradually taken over by unicorns, superheroes, and sunflowers. 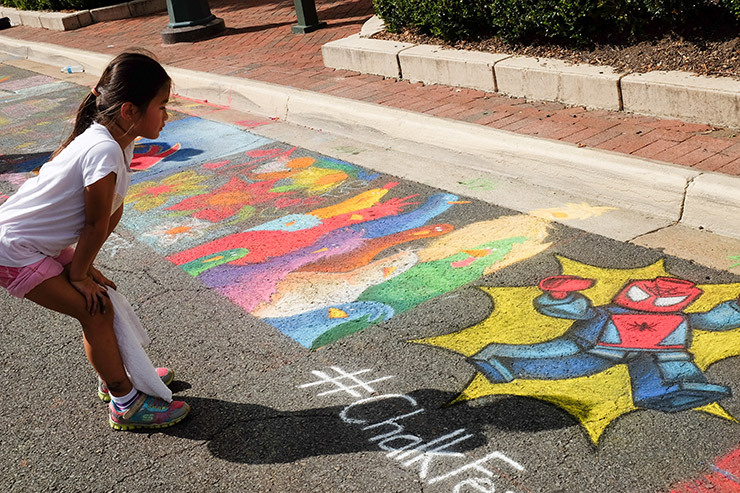 Hundreds of artists filled the Town Center with color at ChalkFest. 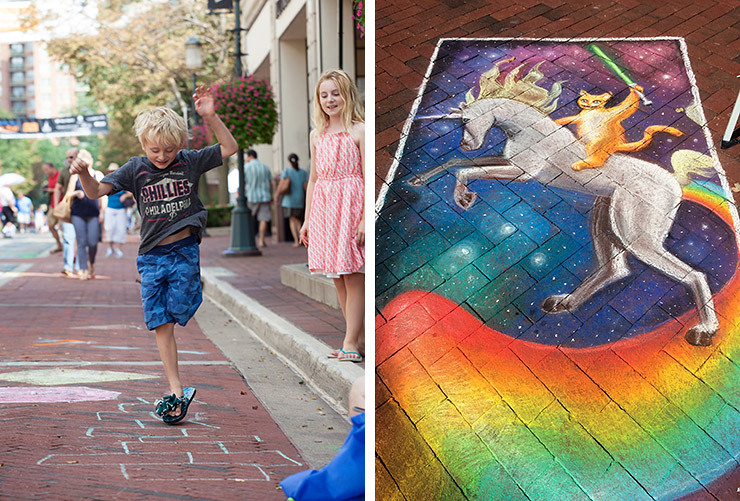 The Initiative for Public Art Reston (IPAR) invited professional and amateur artists to create chalk drawings at Reston Town Center over the weekend. 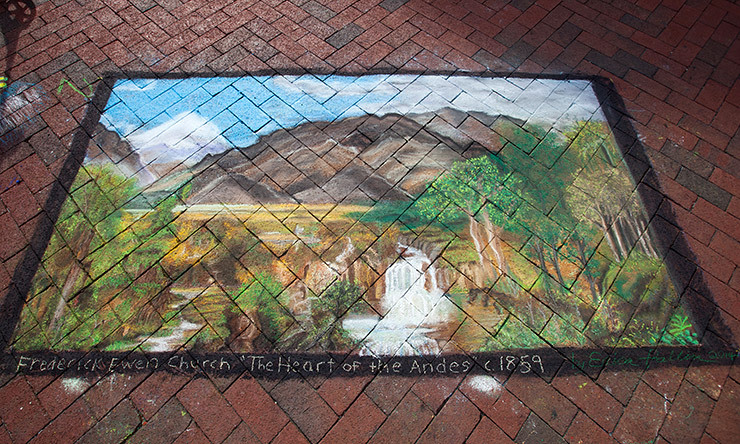 Participants were provided with a box of chalk and a square to fill. 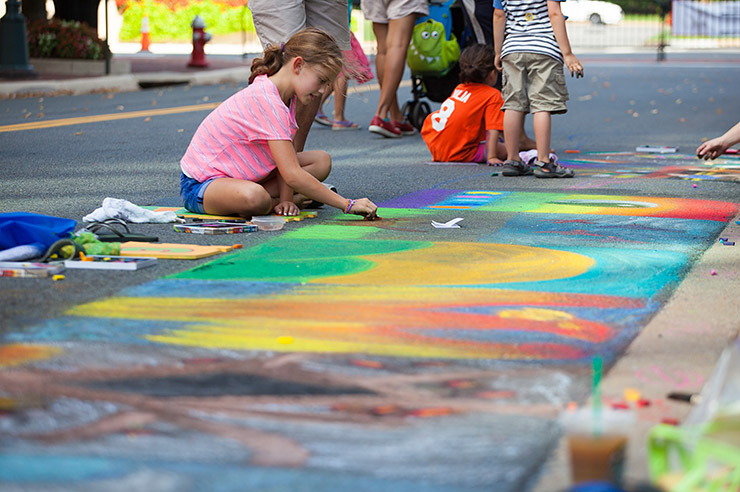 The result was a vivid display of our community’s imagination. 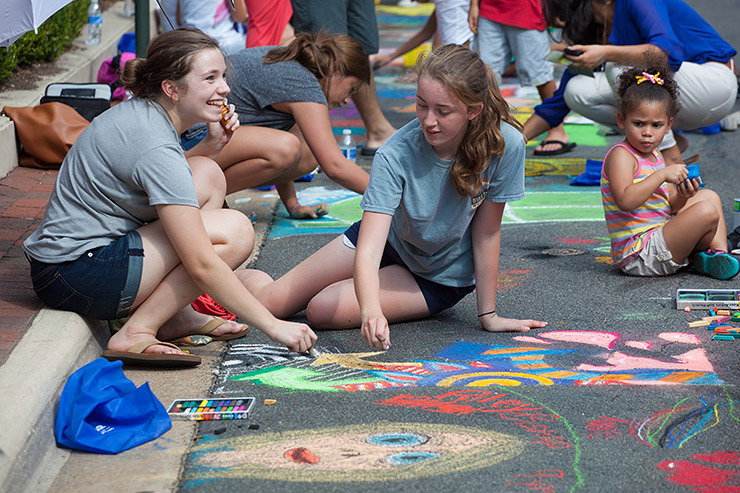 A similar festival took place at Lake Anne Plaza early in the summer of 2014, and it was a huge success. 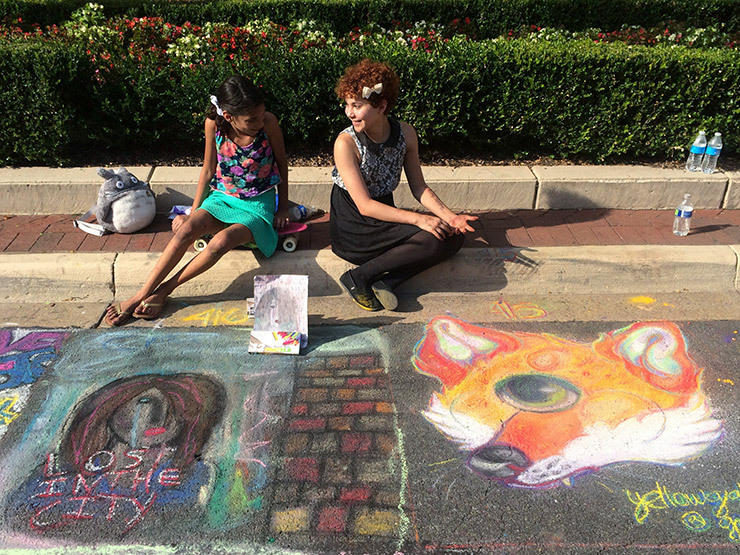 IPAR decided to host an end-of-summer ChalkFest at Reston Town Center, hoping to draw new participants at a different venue. 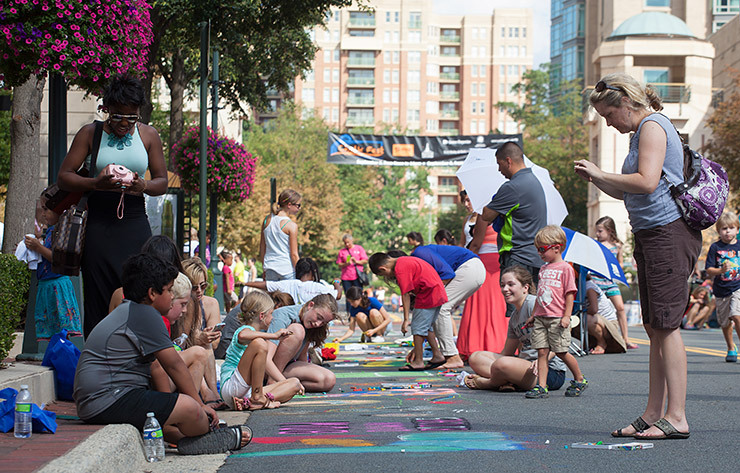 IPAR’s executive director, Anne Delaney, described the event as “an art activity that is accessible to all.” Children, teens, families, professional artists, and even teams of coworkers participated. 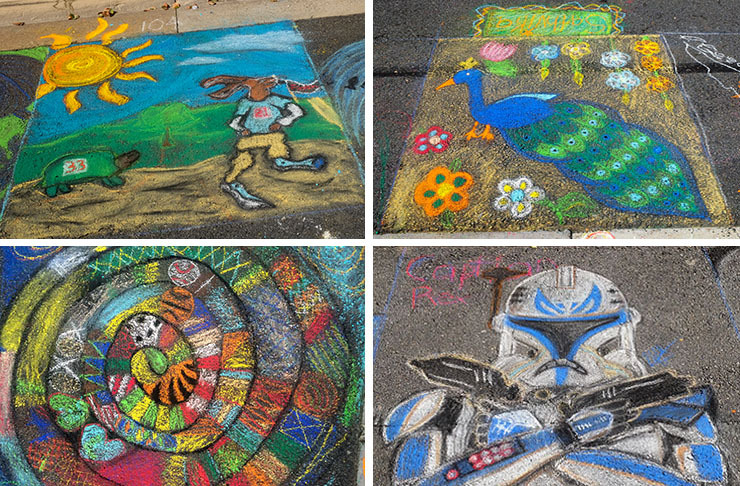 Prizes were awarded in four categories: Professional Artists, Amateur Artists, Families and Kids, and Audience Choice. 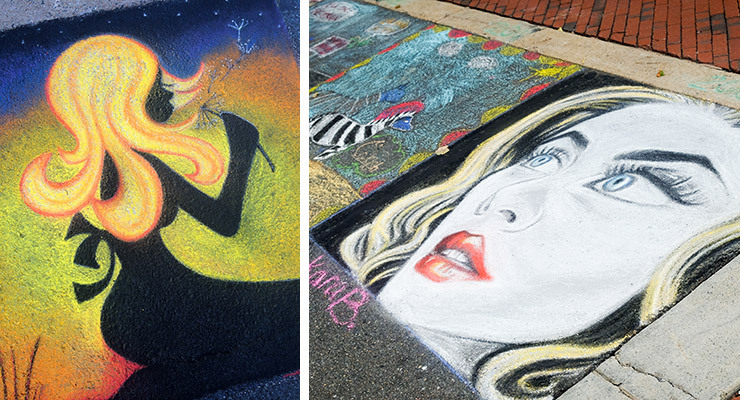 As I walked around ChalkFest and admired the drawings, I stopped to talk to several of the artists. So many of the drawings had great stories behind them! I was particularly impressed by the children and teens who told me about the experiences that had influenced their creations. The next time you attend an event like this, be sure to talk to some of the artists. Their explanations will give you a whole new appreciation for their work. 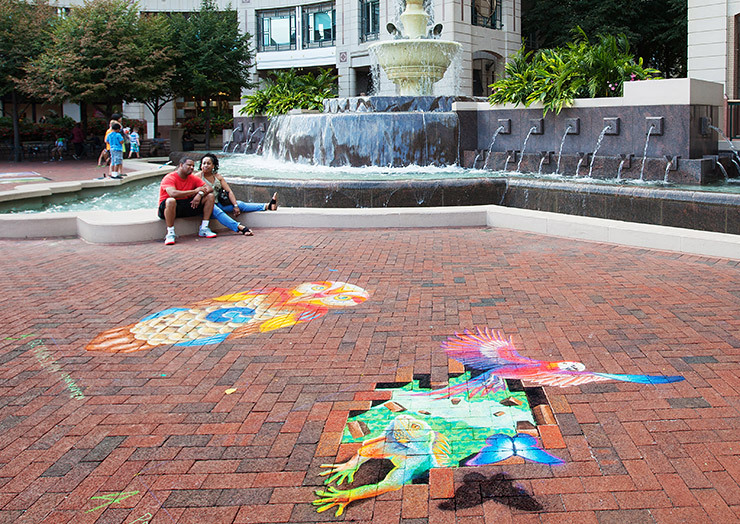 Kudos to IPAR and Reston Town Center for giving these artists a way to share their imaginations with the rest of us! 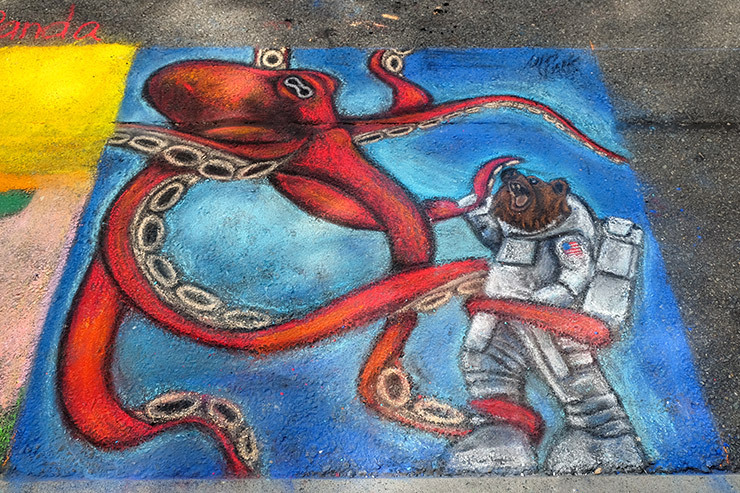 Did you go to ChalkFest over the weekend? 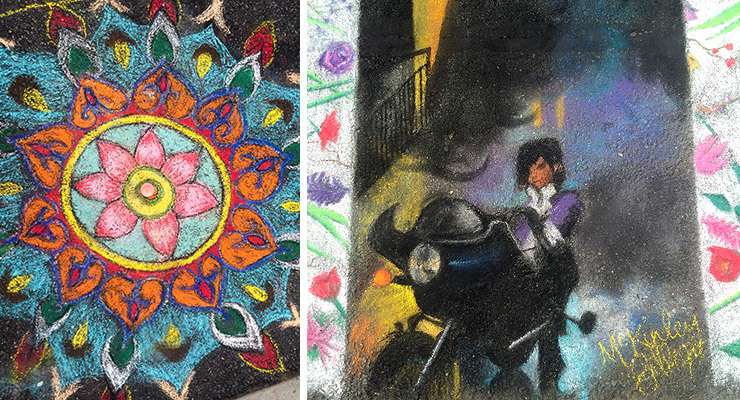 Which drawings were your favorites?